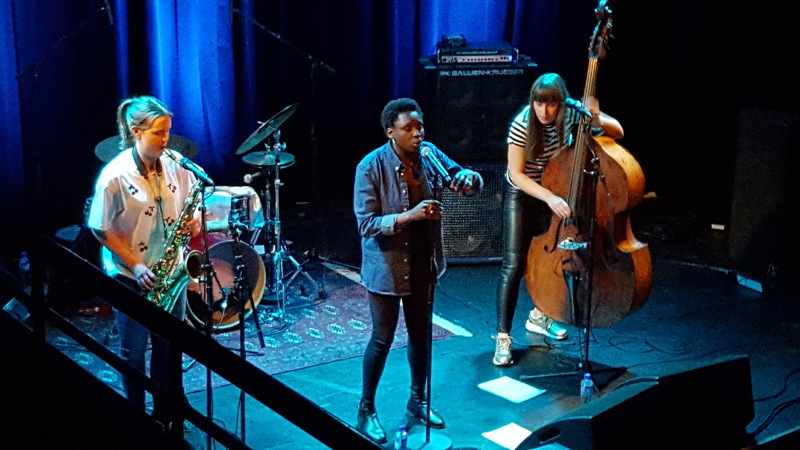 While visiting Oslo mid-February we used the opportunity to go and see the band GURLS in the great venue Viktoria Nasjonal Jazz Scene right in the centre of the city. GURLS are Hanna Paulsberg on saxophone and vocals, vocalist Rohey Taalah and bass player and singer Ellen Andrea Wang and they celebrated the release of their first album ‘run boy, run’. All these musicians have other projects and this is one they did for the fun of it and it seems to develop into something bigger than expected – opening slots for the Oslo shows of Norwegian stars A-HA and a tour are just the beginning, deservedly great reviews for the album and show pushing things further. The show featured the songs from the album, which are about boys … great songs, all written by Hannah Paulsberg and performed to perfection – cool tracks, jazzy, poppy where necessary and in general not giving a damn about genres … all flows, is deep and sometimes funny … just great music. Rohey is simply an amazing performer and she makes Hanna’s songs her own in a very special way, but GURLS is the combination of three amazingly talented artists, who seems to have tremendous fun with what they are doing. Just check out songs like Pork Chop Lover or Dis Boy. Live they have a drummer for a few songs, on the album they all play percussions as well. The show in Oslo ended spectacularly with 12 or so more female musicians entering the stage, either singing or playing brass instruments to give the finale the grandness it deserved. Go out and get the album and/or catch them live – these gurls are worth it!! 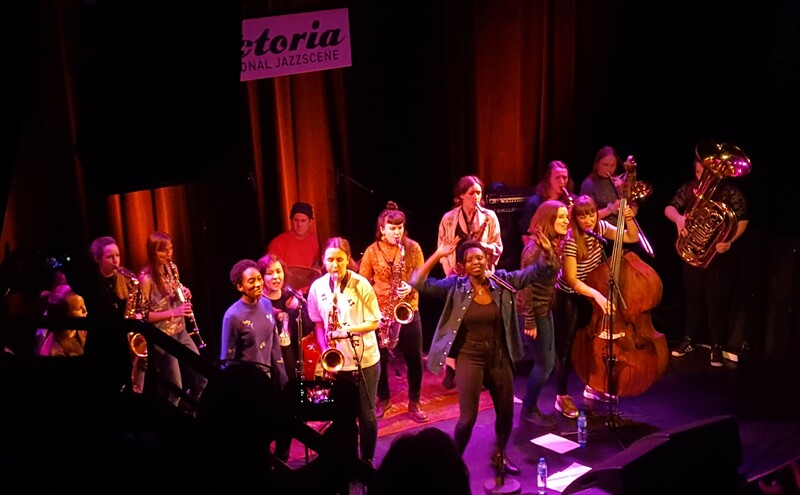 After my talk for and with the young jazz musicians I was happy to hear them play a composition by Nubya Garcia, which was extremely cool and beautiful and the musicians executed the music with passion and amazing skills. A lot of talent there, without a doubt – I had met Rob Luft before at the Montreux Academy, a similar venture, and do enjoy his debut album RISER a lot and I had seen Nubya in New York at Winter Jazz .. a very good show !! 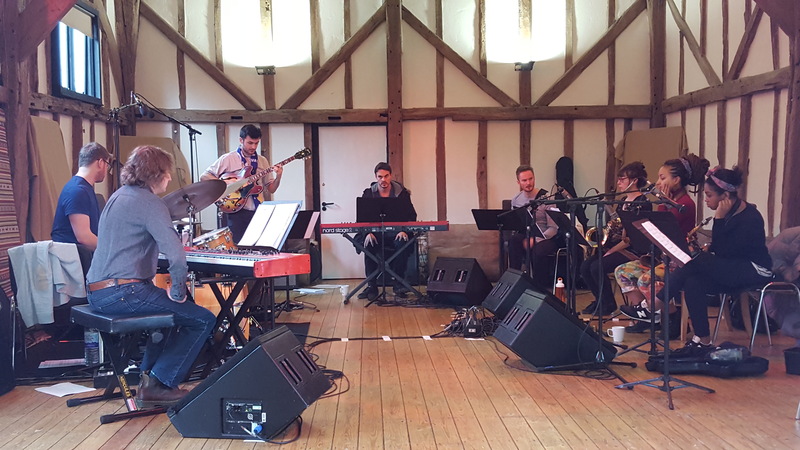 Jazz is in good hands with these young artists … looking forward to hear more of and from them! !